In case you haven’t been watching the posts lately, we have a huge contest running along with my Movember Fundraiser. Please refer back to my original contest post or for more prizes you can also look at my Week 2 update. There are a total of 5 prizes up for grabs with 4 of them donated from The Maldonado Dynasty. Make sure to check out the posts, make a donation for a great cause, and earn a chance to win a great prize! 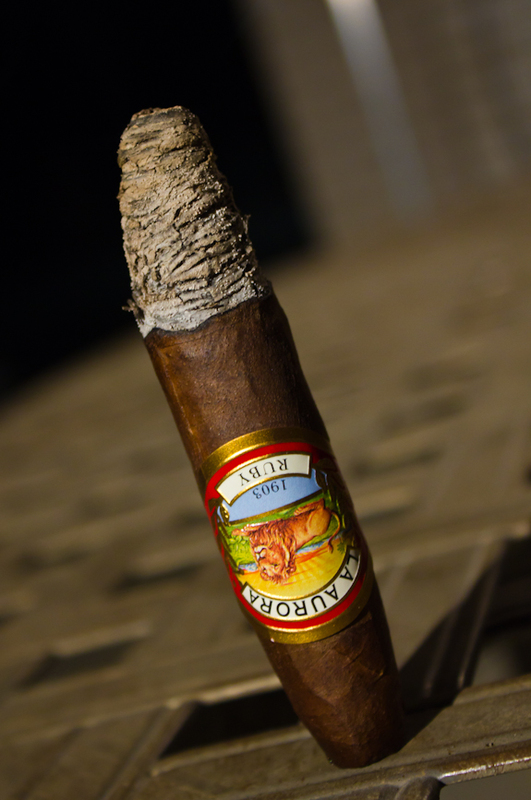 Photo courtesy of Jay L. from www.cigarphoto.net – Be sure to check out his awesome photography! Now, I think it’s no secret that I’m a La Aurora fan. They have turned out a number of great smokes in the past year or two that have all been quite good. Now while their newer releases are enjoyable we can’t ignore some of their previous releases. 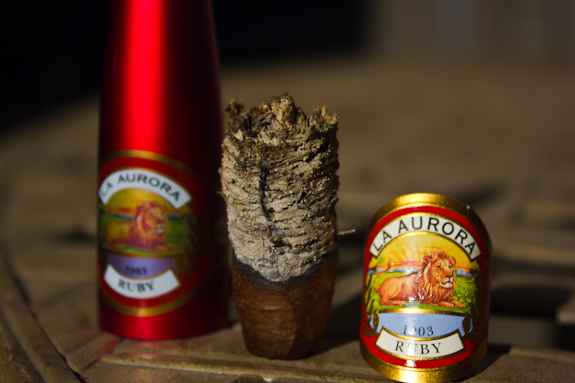 So that’s what I decided to pick up tonight for review, it’s the La Aurora Preferidos 1903 Ruby Edition. 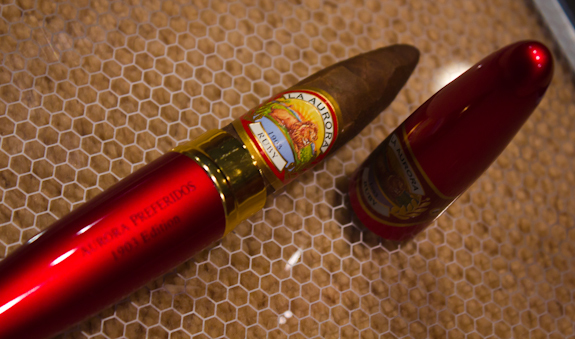 Now this particular cigar is part of the La Aurora Preferidos 1903 Special Edition series which covers 5 different colors and each one represents a specific wrapper and . 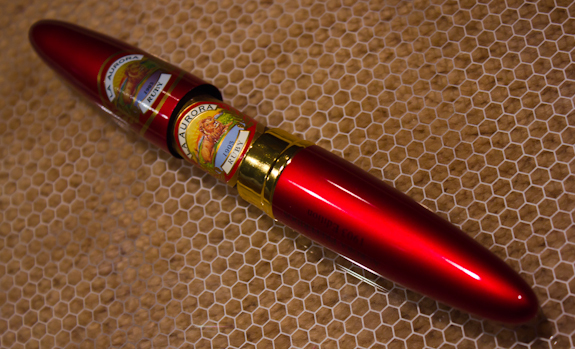 The particular version I’ll be reviewing tonight is the Ruby Edition which is their Brazilian Sun-Grown wrapper version. Each of the Preferidos 1903 Special Editions come in wonderfully crafted aluminum tubes, each matching the color of their appropriate names. It’s not just the wrapper or tube that makes these cigars special, the process for all the tobacco involved is quite unique as well. Firstly, the only Torcedors permitted to make this line of cigars are the resident experts that have at least 15 years of experience. This experts are also restricted to making a maximum of 125 cigars per day so they can pace themselves accordingly and not rush to over-produce. This ensures high quality cigars and extra time allotted for each one. 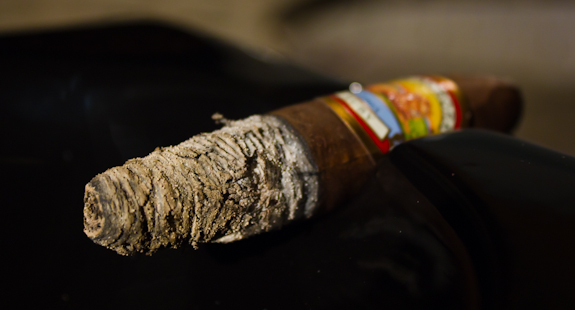 As for the tobacco leaves themselves, each one used in the Preferidos cigars have been aged a minimum of 4 years. This time includes a full year of aging in rum barrels and another 6-8 months in the aging room after being rolled. 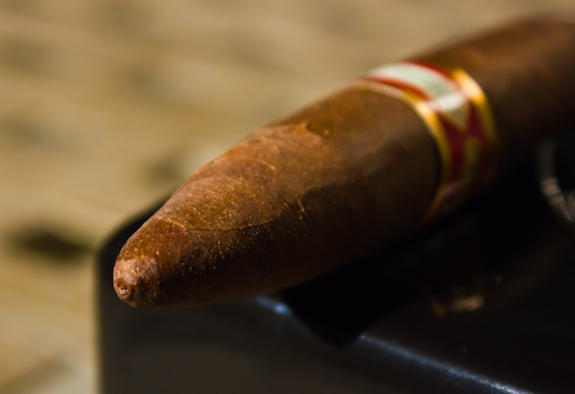 All this extra time and attention to this cigar makes for an exceptional presentation. So without further delay, let’s jump into the review. 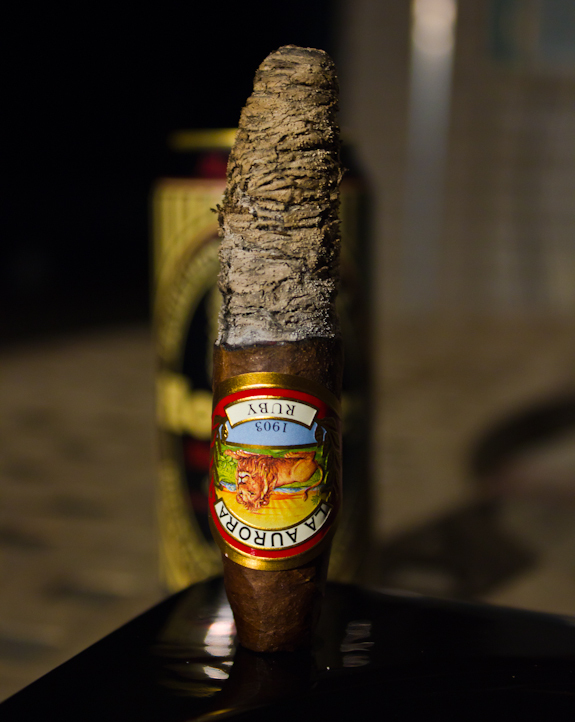 • No harshness right down to the super small nub, enjoyed every last bit of this tasty cigar. This was not my first dive into Preferidos territory and it definitely won’t be my last. 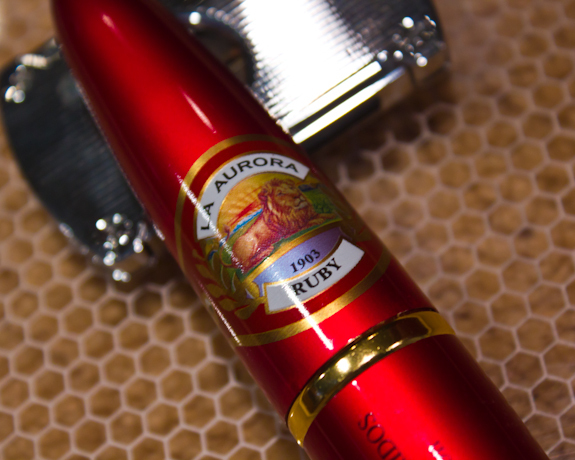 I think La Aurora has another winner with this line of cigars and the Ruby Edition is definitely one of my favorites. 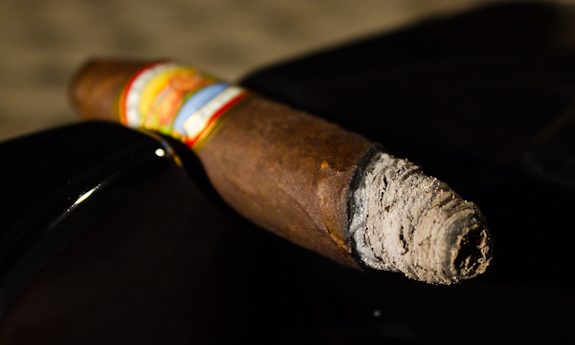 The intense but smooth array of flavors makes for a very enjoyable cigar from start to finish. I did find quite a variance in the prices of these cigars so you might be careful and do some research before purchasing. At $15+ these can be a tough buy, and may not live up to expectations. But if you can find them at the $10 range then these are winners in my book and deserve a home in your humidor. 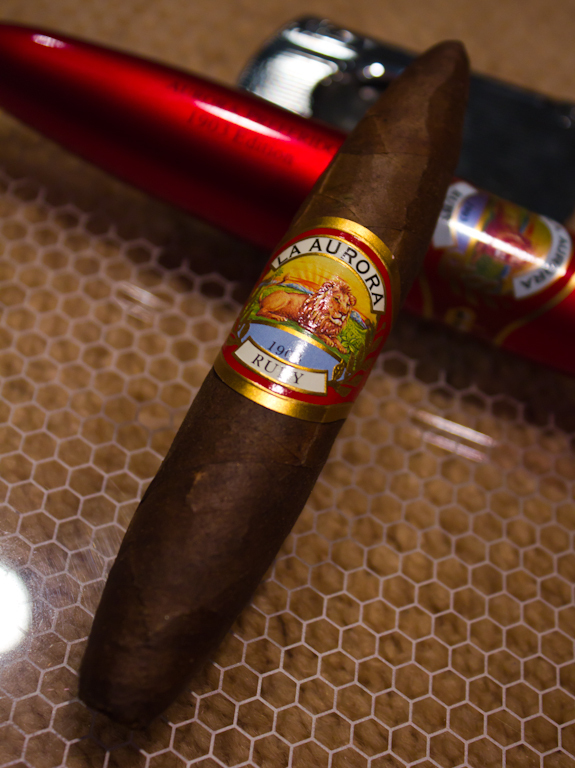 The burn was also sensational on the La Aurora Preferidos Ruby which helped tie up the whole experience with a winning combination. Today’s brew pairing comes from a local brewery about 30min away form my home called Hockley Valley Brewing Co.. It’s actually a gorgeous place I’ve visited a few times before that is very picturesque and surrounded by forests. In the winter time they have some fairly basic ski hills to enjoy as well. This offering is called the Black & Tan. The best way I can describe it is some sort of hybrid between ad dark ale and a stout. It’s got some thick creamy notes but is also smooth like a dark ale, very interesting. It offers up notes of creamy coffee and lots of roasted malt with almost no bitterness at all. It’s very enjoyable! 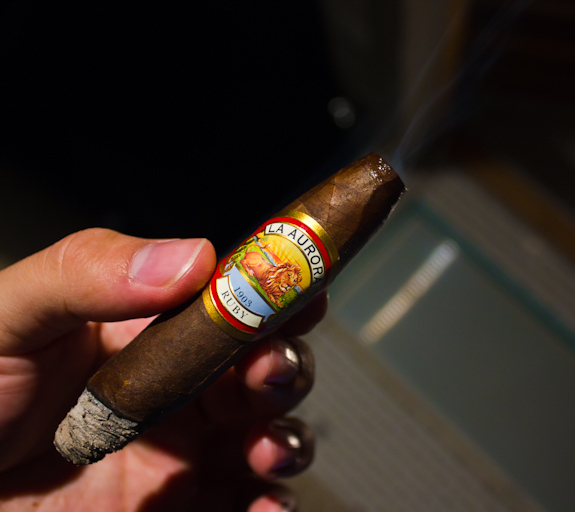 It also paired very well with the cedar and cocoa notes of the La Aurora Preferidos Ruby, they complimented each other quite well. 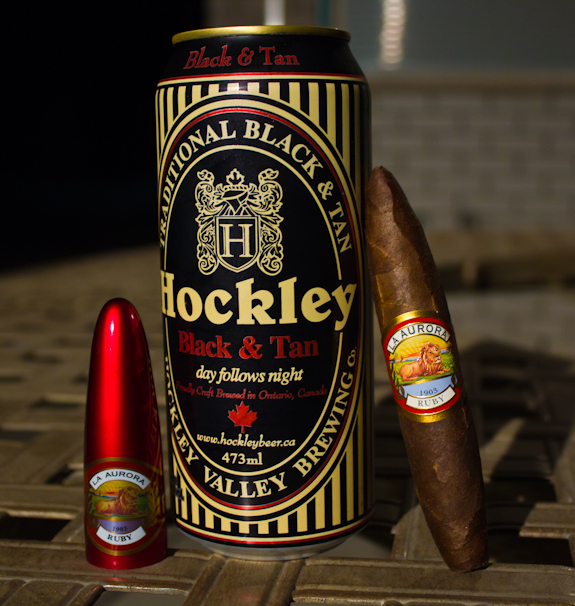 Other good pairings for this tasty cigar would include coffee or a fine tawny port! Thanks for the comment Paul! That beer is only available in a sampler pack from Hockley right now unless you actually go to the brewery. Their stout is also really good too! All of these Preferidos Tubos are darn good quality smokes, can’t wait to hear what you think! Geez, Daniel. you and your expensive sticks. lol Nice review, great photos. Haha, “Smoke ’em if you Got ’em” Right?! You should stick with Jay’s photos….. Bwahahahahahahha…. I was given one by Jay and it was a great smoke. I do have a hard time swallowing the pricepoint for these. But in case of an emergency definitely worth the scratch…..I have yet to try the other blends of these as I heard the ruby was the best. Thanks D!